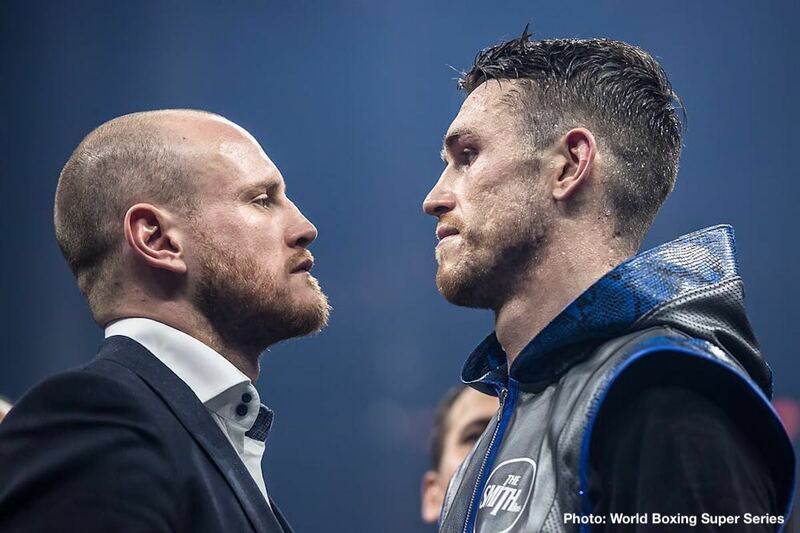 The much-anticipated Ali Trophy Super-Middleweight Final between George Groves & Callum Smith is set to go ahead later this summer. Contrary to some reports on social media that the Hammersmith fighter had been replaced, Comosa AG, the company behind the World Boxing Super Series, will be delaying the British super-fight until late August or early September to allow Groves as much time as possible to take part in the concluding night of the 168lb competition. The WBA Super Champion (28-3, 20KOs) dislocated his shoulder in the final round of his semi-final win over Chris Eubank Jr in February. There had been the desire from Comosa AG to complete the competition by late July, but after boardroom discussions and consulting the public demand it has been decided to postpone the final further. “As is the nature of injuries, especially the type of injury that George suffered, getting an exact recovery date is nearly impossible,” said Comosa AG’s Head of Boxing Kalle Sauerland. This will be Groves’ third defence of his WBA Super World title, with all three fights involving British opponents – Jamie Cox and Chris Eubank Jr. The delayed Final date will also give WBC Diamond belt holder, Smith (24-0, 17KOs), the chance to finally challenge for a World title, having been in mandatory positions over the last few years he has yet to have had his shot. The revised date and venue for the George Groves vs Callum Smith Ali Trophy Super-Middleweight Final will be announced in the coming weeks.